The transformations of people’s relations to media content, technologies and institutions raise new methodological challenges and opportunities for audience research. 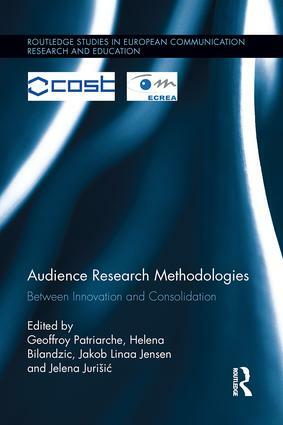 This edited volume aims at contributing to the development of the repertoire of methods and methodologies for audience research by reviewing and exemplifying approaches that have been stimulated by the changing conditions and practices of audiences. The contributions address a range of issues and approaches related to the diversification, integration and triangulation of methods for audience research, to the gap between the researched and the researchers, to the study of online social networks, and to the opportunities brought about by Web 2.0 technologies as research tools.